NuWind Centrifuges offer larger capacity in a smaller footprint. The ability to change rotors within seconds allows for multi-application use in cell culture, bio-production, blood separation, microbiology and more. Process any protocol in cell culture, bioproduction, blood separation or microbiology with this NuWind ventilated bench top centrifuge. 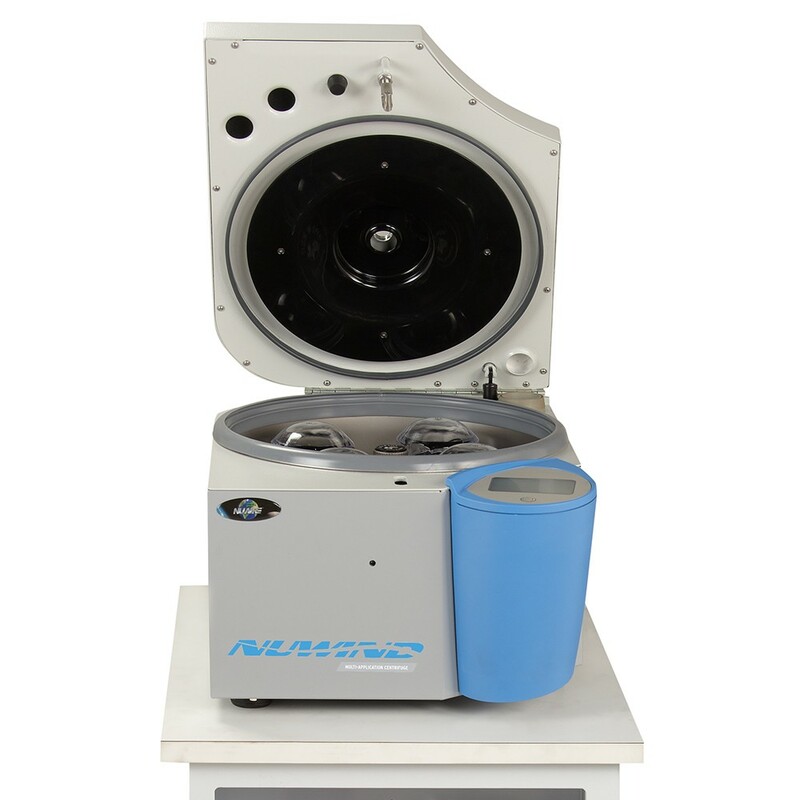 This small-footprint centrifuge provides a significant capacity and plenty of speed.